For anyone who takes their gaming seriously, is involved in the competitive scene or simply tries to enhance their game experience to the top levels, mechanical keyboards are the best way to go. The reason – not only that they will certainly be more responsive to key taps but the way that every button gets its dedicated circuit separately, it significantly eases the process of repair and exchange, if need be. Here is our top 5 selection of the best mechanical keyboards out there with highlights and perks you get with each model, in no specific order. Whether it’s the fact that Razer specializes in gaming-oriented peripherals and the needs of professional gamers or just a simple coincidence, the BlackWidow Ultimate is a downright piece of technological art. Officially deemed as a gaming keyboard, this Razer model comes with fully mechanical keys with a 50 gram actuation force, green backlighting for all the buttons and 1 millisecond response time. The model also offers a very powerful customization tool for the 5 additional dedicated macro keys along with optimization for keyboard functionality. Connectivity is achieved through a braided fiber cable and even offers you dedicated audio-out and mic-in jacks for the USB slot that it takes on your computer. 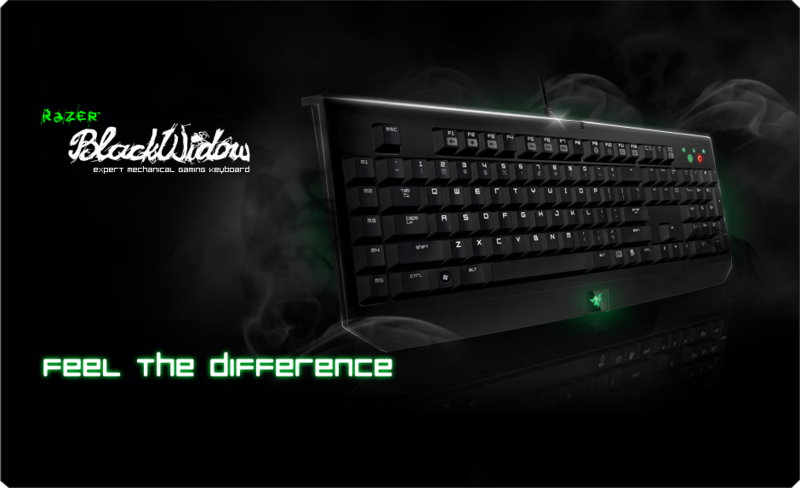 In terms of weight, the Razer BlackWidow Ultimate is a little heavier in comparison to membrane or wireless keyboards, weighing approximately 1500 grams. Considering it was designed for gaming purposes primarily, the BlackWidow also includes key matrix optimization for a minimal amount of ghosting. You can purchase the keyboard directly from the producer website for $129.99. Deemed by a number of reviewers one of the, if not the best mechanical keyboards out there, the Corsair Vengeance K95 is a solid choice for both design and functional reasons. Whether you go for the classic version or the RGB lighting one, the K95 comes with a detachable wrist rest and brings to the table a large number of great assets. If you ever felt that 5 macro keys do not suffice for your gaming needs, the K95 has no less than 18 stacked on the left side of the keyboard ready to take in all your macro commands, along with keys for 3 different profiles which you can switch through directly. This model of Corsair keyboard also includes media control buttons such as Play, Pause, Stop, Forward and Back as well as a volume control scrolling key. The backlighting has also been taken up a notch as every key has separate LED which can be manually turned on or off from the software; that way you can set up your keyboard to only have particular buttons light up on a profile in order to highlight the ones you will be using the most. It is worth mentioning that this model also seems less noisy than your regular mechanical keyboard out there, but does come at a spicier price – $179.99. Next up comes the Roccat Ryos MK Pro that is another great example of how far gaming keyboards have come. This model packs a lot of great features that you might not find in many other competitors such as the capability to assign secondary function to most keys, easily switchable back and forth, as well as the separate LED lighting attached to each key individually. The material used for the surface of the keyboard is smudge and fingerprint-free and also has five rubber feet underneath to ensure stability. Ghosting is near inexistent as the developers have integrated an N-Key Rollover in the keyboard allowing up to 30 keys to be pressed at once along 8 modifier keys. A fun aspect of the Roccat Ryos MK Pro software is the achievement display that is capable of keeping track of your gaming statistics as you make use of the keyboard. On top of everything stated above, the MK Pro also features an audio and microphone jack making your keyboard as mobile as it gets. You can purchase the Roccat Ryos MK pro for $169.99. While the plastic cover and surface may not look incredibly attractive since they’re made of plastic, the Logitech G710+ is a sturdy, solid mechanical keyboard. To make sure the palm of your hand is situated at an optimal angle when using the keyboard, a detachable wrist rest comes in the package and the four rubber feet underneath it make for stability and ensure that the G710+ doesn’t slip on any surface. Multimedia keys are also present, allowing you stop, play, pause, forward or back through any form of media, along with the volume scroll key and pause button. The backlight is split into two separate areas and comes in default white, with a software option to adjust the brightness. The developers have also put a lot of effort in making the keyboard as quiet as possible, a trait that comes in handy when we’re talking mechanical – given that in the absence of the membrane, most tend to be noisier than usual. The Logitech G710+ has anti-ghosting on all of its 110 keys and 6 macro keys to go and suit all of your gaming needs. The G710+ can be acquired directly through Logitech website for $129.99. The last but not least in our list is the Rosewill RGB80, a keyboard that while has not been chosen as first worldwide but still remains a very strong option if you find yourself in search for sturdy and reliable mechanical keyboard. It provides individual lighting for every key along with 5 levels of brightness that you can adjust through. 10 of the 87 buttons are transparent and come with key pullers and the RGB80 also comes with an option to choose from 5 profiles using the quick switch keys. As you can probably tell from the name itself, this particular keyboard offers a wide variety of backlight coloring that you can change through the software that comes with it straight from your computer. While it may not be as impressive as the other titles mentioned so far, the Rosewill RGB80 does at least come at a more affordable price of $109.99. For more info about computer components or computer hardware, check out our resource pages.